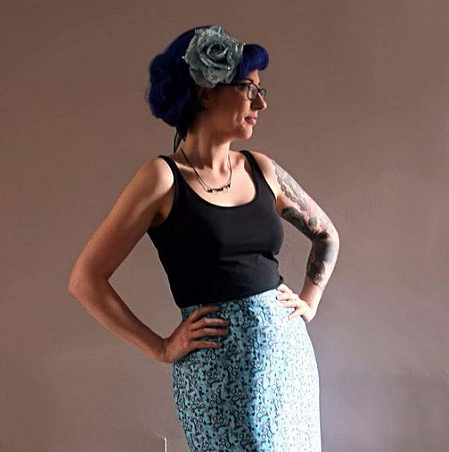 I thought I’d give a little update on my Sewing for Vegas Sew Retro bombshell dress and my experience of using Craftsy for the first time. I signed up for this course with a little trepidation, boning? yikes! But you never get anywhere unless you push yourself do you? And in some respects I have all too easily become used to doing what I can do and sticking with the “safe” stuff. When I found out about craftsy I thought it would be marvellous for me. As you may know I am dyslexic, so looking at instructions in the written word are usually quite confusing. Add with that mild dyspraxia and you have a whole heap of confusion when it comes to things such as left and right. I learn so well when people show me physically how to do something rather than from reading instructions, hence the idea of video classes which I can access at any point seemed perfect. So sign up I did. 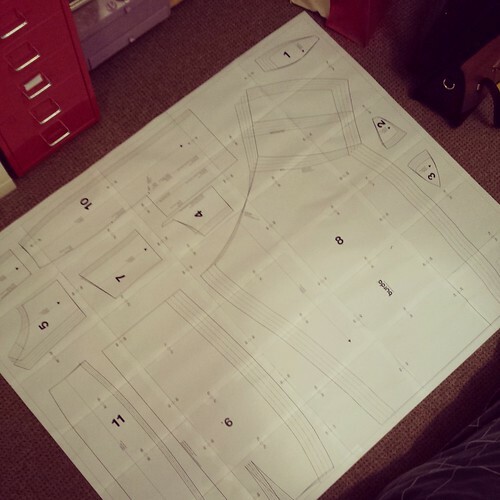 I downloaded the course materials and pattern (easy enough) ensuring that the test square was the right size and then ordered everything I needed to make up the dress (apart from the boning – you really need to measure your bodice pieces for that). I decided on a cerise medium weight cotton for the main fabric with the lining in a lightweight light blue and white polka dot. I cracked on with making up the pattern. Now, I know this should have been easy and it was up to a certain point but honestly, being told that it’s “fun, like doing a puzzle” doesn’t actually make it any more fun and less fiddly. Oh, and if you’re like me and don’t have a table big enough, prepare for some backache. This was however soothed by watching the amazingly trashy cultness of Showgirls while I was doing it. Next up was marking the pattern pieces on calico for the toile of the bodice. 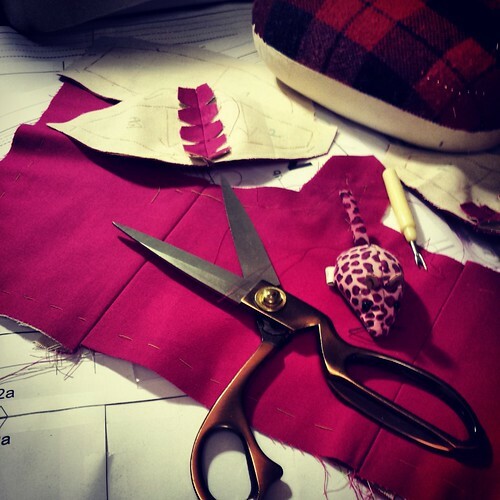 When I first discovered that the pattern had no seam allowance I was struck by a little bit of fear, I completely didn’t understand how beneficial this actually would be and how easy it would make the whole process. Thread tracing is a new one on me but I feel like it’s something that might change my sewing life! After a short time I had my cups made and decided it was time to leave it for the night. The next day I began stitching the rest of the pieces together. It took me about 40 minutes of not understanding why the cups weren’t fitting into the bodice sections before I realised I’d sewn them on the wrong way round (dylexia-dyspraxia strikes again!). 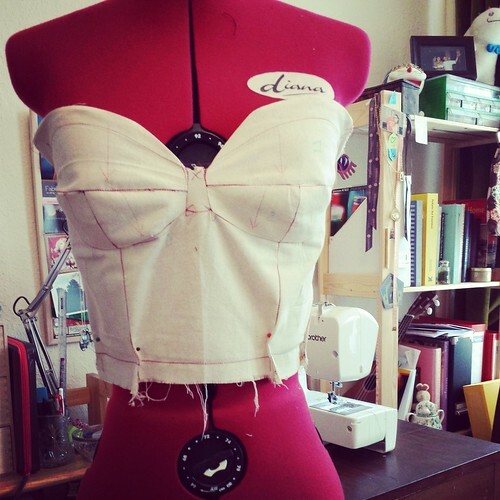 Once they were un-picked and re-sewn I had a bodice which looked pretty fantastic. I just made a few adjustments to the height of the cups (these would make me blush in their original form, and I’m not shy by any means) which Gertie talks you through every step of the way, There’s also a section on a full bust adjustment, which I didn’t use but I did watch and it was very thorough. It will be a great reference if I make something for someone in the future who is bustier than me. I added a little height to the back of the bodice too, in line with the height I’d added to the cups and then I graded this down towards the closure section where the zip will be inserted. After this I made the changes to my pattern pieces to incorporate the extra material and I cut more calico for the interlining, marked it up and used these pieces as a pattern for the main bodice material, which I then cut and tacked together. Then I made up the bodice as instructed, step by step, including inserting a bit of padding to the cups and a few other tailoring techniques as shown (I don’t want to give everything away). This where I’m up to, an almost complete bodice. I am so happy with how it looks. I am really loving doing something new and more challenging with guidance from others who have completed the course and from the instructor. 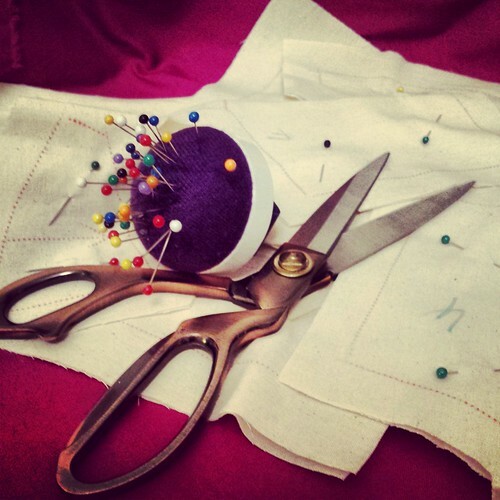 I would definitely recommend this type of learning to anyone who is talking up sewing. The instructions are clear and concise and it is invaluable to be able to see in motion what you can only read about in other respects. The little tailoring and hand sewing techniques and finishes and shared experiences from Gertie are well worth signing up for, never mind the fact you’ll have a gorgeous dress at the end of it. I fully intend to carry on doing more craftsy courses after I have finished this one. 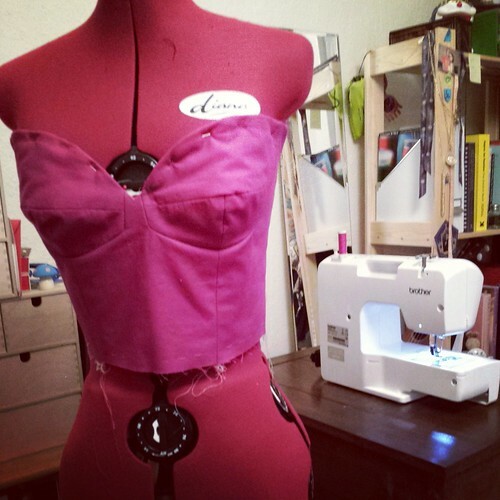 What I have learned so far is so much more than I thought I would, and it’s great to find out little tips and tricks so that if (like me) you’re learning as you go, and on your own, you find speedier and more accurate ways to make garments. 8 DAYS TO GO AND EVERY VOTE COUNTS! 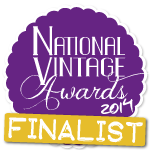 If you liked this blog please vote for me in the NVAs as I’ve been nominated under the Best Vintage Fashion/Lifestyle Blog category. Voting is open throughout May and it’s a simple click to select Stacey Stitch and then enter your email address to confirm the vote (you wont be spammed). Clicking on the photo or links above should take you straight to the website. I need to be in the top 3 and I’m currently in 4th place. Only the top 3 go through to the judges panel. 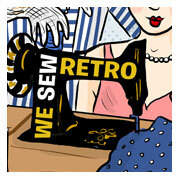 Help a fellow vintage sewing enthusiast out? It’ll only take a few minutes of your time if you have it spare! Thank you! Thanks for sharing your experience – congrats for pushing yourself to do something our if your comfort zone! I just voted for you, too – good luck! *out of, not our if! Oy, I really need to proofread my comments!